WALLA WALLA, Wash., -- The U.S. Army Corps of Engineers seeks bids to supply vertical barrier screen parts for 980-MW McNary Dam on the Columbia River in Oregon. Bids are due Nov. 11. The Corps' Walla Walla District awarded a $10.2 million contract in September to Advanced American Construction Inc. to relocate a juvenile fish bypass outfall pipe at McNary. The Corps now seeks bids from small businesses to manufacture, supply, and deliver parts for in-water vertical barrier screens at McNary Lock and Dam. A solicitation notice may be obtained from the Federal Business Opportunities Internet site, www.fbo.gov, by entering Solicitation No. W912EF12Q0009 in the "Keyword/Solicitation #" box. Bids are due Nov. 11. For information, contact W. Craig Kendall, U.S. Army Corps of Engineers, Walla Walla District, 201 N. 3rd Ave., Walla Walla, WA 99362-1876; (1) 509-527-7208; E-mail: william.c.kendall@usace.army.mil. 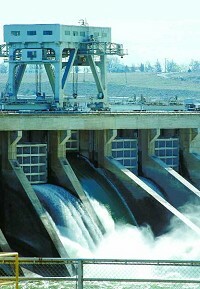 For more hydropower tenders, click here.